2Q17 DPU of 2.08 Scts (-4% y-o-y) impacted by dilution from recent rights issue. Excluding rights issue, 2Q17 results were in line with expectations. Singapore performance remains weak with 2Q17 RevPAR down 1.4% y-o-y. Bright outlook with boost from acquisitions and recovery in the Singapore hospitality market in 2018. 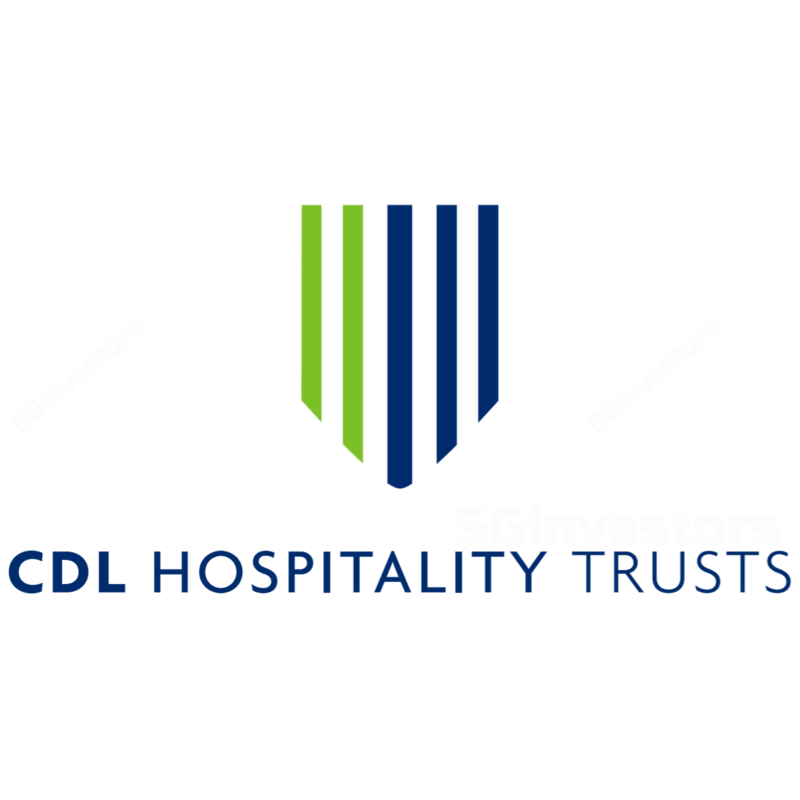 We maintain our BUY call on CDL Hospitality Trusts (CDREIT) with a TP of S$1.75. With supply expected to ease over the next three years, we project a recovery in the Singapore hospitality market with revenue per available room (RevPAR) potentially growing by 3% p.a. or higher. This combined with CDREIT’s recent acquisitions should result in DPU CAGR of 7% between 2017 and 2019 based on CDREIT’s 90% payout ratio which compares favourably against flattish or modest 1-2% growth for many other REITs. CDREIT reported 2Q17 and 1H17 DPU of 2.08 Scts (- 3.7% y-o-y) and 4.10 Scts (-4.7% y-o-y) respectively. The decline in DPU was mainly due to the impact of the recent rights issue and absence of contribution from Pullman Munich whose acquisition was only completed after June 30, 2017. The new rights units will start trading on 2 August, and are entitled to 1H17 distributable income. Excluding the effect of the rights issue, 2Q17 and 1H17 DPU would have risen by 11.7% and 10.3% yo-y to 2.49 Scts and 4.91 Scts respectively, and would have been in line with our original estimates. The renounceable rights issue raised gross proceeds of S$255.4m, on a rights ratio of 20 rights for every 100 existing stapled securities with a rights issue price of S$1.28. The majority of the proceeds were used to fund the acquisition of Pullman Munich. CDREIT’s Sponsor, Millennium & Copthorne Hotels plc, fully subscribed for its pro rata rights entitlements, equivalent to c.37% of the rights issue. Underlying 2Q17 net property income (NPI) was strong, up 11.4% y-o-y mainly due to the acquisition of the Lowry Hotel in Manchester as well as stronger contribution from New Zealand (NPI was up 94% y-oy) which benefited from 49% jump in revenue per available room (RevPAR) on the back of a buoyant tourism market, stronger NZD and positive impact from a more lucrative master lease agreement last year. This helped offset falls from Maldives (-12.5% y-o-y fall in NPI) and Japan (-12% y-o-y). The Maldives operations continue to be dragged by a 16% decline in RevPAR on the back of an increase in supply and soft demand from key source markets such as China. The hotels in Japan also suffered a 4.2% dip in RevPAR as heightened price competition on new room supply pressurised average daily rates (ADR), offsetting the robust occupancies from growth in visitor arrivals. NPI from the core Singapore hotels was marginally up 1.5% y-o-y mainly due to Grand Copthorne Waterfront Hotel being fully operational, and higher F&B income. The property underwent refurbishment works in 1H17. Overall Singapore portfolio RevPAR was down 1.4% y-o-y to S$155 largely on the back of a 4.7% y-o-y fall in ADR. Pricing remains competitive owing to an increase in hotel supply. Overall RevPAR performance is tracking ahead of the 3-4% decline we are expecting. The UK operations benefited the acquisition of the Lowry Hotel. Stripping this out, NPI for Hilton Cambridge City Centre would have fallen, as a consequence of the depreciation of GBP and impact from one-off expenses related to relaunch costs for its newly positioned restaurant. This offset a 2.8% improvement in RevPAR. In conjunction with its rights issue launched in late June, CDREIT announced the acquisition of an effective 94.5% stake in 337 room Pullman Hotel Munich for EUR98.9m (S$153.8m) and on a FY16 NPI yield of 5.6%. The acquisition was completed on 14 July 2017. The acquisition price is based on a property price of EUR104.7m on a 100% basis, which was below the EUR105.3m valuation. This translates to a price per key of EUR281k (c.S$437k). The property consists of a hotel as well as an office and retail component. Located on two freehold plots of land, the property was opened in 1986 but last underwent a full renovation and rebranding in 2012. Upon the completion of the transaction, a new management lease agreement will be entered into for 20 years. The rental income received will be based at around 90% of Net Operating Profit with a guaranteed fixed rent of EUR3.6m. The acquisition provides exposure to an important business hub in Germany, a market which has experienced 4.3% CAGR in tourist arrivals from 2010 to 2016, as well as a destination for sporting and cultural events such as the Oktoberfest. We understand there is a 50/50 split between leisure and corporate guests. In addition, there is some seasonality for the property. The winter period from December to February is the softest period with the peak season during September to October which coincides with various trade fairs and Oktoberfest. In addition, similar to Singapore, Munich benefits from a surge in demand every second year due to various biannual conferences. The next biannual conference year is 2018. The hotel’s RevPAR currently stands around EUR100. Since 2012, where RevPAR was growing in the mid-teens post its refurbishment, it has since slowed to the low single digit last year. Near term, there is approximately 7% growth in new supply, higher than approximately 7% growth in new supply, higher than the 2% average growth in supply, however CDREIT expects this supply to be absorbed. However, to account for this supply risk we anticipate ADR will fall by 2% near term. On a standalone basis assuming, only c.S$153m of equity was raised, based on CDREIT’s estimates, the acquisition would have resulted in proforma FY16 accretion of around 3.8%. Post the acquisition, contribution from Germany will be approximately 6%, with Singapore dropping to around 55%. Overall, we are positive on CDREIT’s decision to acquire Pullman Munich. Our view is premised on the benefits from further diversifying its portfolio and gaining exposure to a growing hospitality market as well as the expected DPU accretion on a stand-alone basis. On the rights issue, while this is has caused a short term dilution to FY17 DPU which is disappointing, we believe the long term benefits from an increase in trading liquidity should not be ignored, as seen by the rally in the share price of Ascott Residence Trust and share price of Frasers Hospitality Trust post their recent respective rights issues. In addition, the dilution to DPU ignores the capital gains made on the rights units of c.S$0.30 assuming the current share price holds. Furthermore, with gearing projected to drop to between 33-34%, we expect CDREIT to use its new debt headroom to acquire further assets to mitigate its dilution, which will likely accelerate CDREIT’s medium term growth outlook. Gearing was 38.7% at the end of the quarter but post the completion of the rights issue and acquisition of Pullman Hotel, it should drop to around 33-34%. Average cost of debt stood at 2.3% and is expected to drift closer to the 2% level once CDREIT takes additional EUR loans to help fund the Pullman Munich acquisition. NAV per unit stood at S$1.5454 as at end 30 June 2016. After incorporating the recent rights issue and acquisition of Pullman Munich, as well as revision to some of our FX assumptions (higher AUD but partially offset by lower USD), we lowered our FY17-19F DPU by 3-9%. However, after rolling forward our valuation base to FY18, we maintained our DCF-based TP of S$1.75. Going into 2H17, CDREIT should benefit from the acquisition Pullman Munich and a seasonality stronger period in Singapore. For the first 24 days of July, CDREIT reported a 0.9% increase in RevPAR for its Singapore portfolio. However, we believe pricing pressures should still remain, with another 2,662 gross new hotels rooms to be opened, partially offset by closure of 400 rooms at Swissotel The Stamford and 73 rooms at Raffles Hotel. However, we believe investor interest will be mainly focused on 2018’s outlook where we expect a recovery on the back on a decline in supply. As the downturn in Singapore has been well flagged, we believe the reaction to a y-oy- decline in DPU in 2H17 will be muted. With 10% capital upside and 5.7% yield, we maintain our BUY call with a TP of S$1.75. We continue to like CDREIT for its exposure to the expected recovery in the Singapore hospitality market, and combined with the additional earnings from recent acquisitions should result in a healthy 7% DPU CAGR between 2017 and 2019, among the fastest in the SREIT universe. In addition, CDREIT trades on attractive valuations, with the implied price per key of its Singapore portfolio below replacement cost and recent market transactions. Where we differ – Should trade at a higher premium to book. Consensus has a HOLD recommendation with a target price at CDREIT’s current share price which implies CDREIT’s Singapore portfolio is valued at c.S$575,000 per key, below recent market transactions of at least S$650,000, and other listed Singapore hospitality REITs that are valued between S$700,000 and S$1m. With a potential upturn in the Singapore market over the next three years, this is too conservative in our view. Thus, we believe CDREIT will re-rate closer to our TP which implies price per key of S$650,000 for its Singapore portfolio. Acquisition the ace in the pack. Post the recent rights issue and announced acquisitions, CDREIT’s gearing is expected to stabilise around the 33-34% level. With the additional debt headroom, the expected accretion to any debt funded acquisition would act as the next boost to CDREIT’s share price. After incorporating the recent rights issue, acquisition of Pullman Munich and rolling forward our valuation base to FY18, we have maintained our DCF-based TP of S$1.75. Weaker-than-expected demand supply outlook in Singapore. The key risk to our view is a weaker-than-expected demandsupply outlook for the Singapore hospitality market.